Are you frustrated with the results you’re getting in your business? Are you stressed and disillusioned about the direction your life is taking? Are you CERTAIN deep inside that you CAN do better but just don’t know how? We all know that HINDsight is 20/20. Imagine if you had 20/20 FOREsight? Sound impossible? It's not—keep reading. I’m Dr Marc Dussault, creator of Get The Best Business Results With the Least Amount of Effort and I’m excited to share this revolutionary learning system with you. Get The Best Business Results With the Least Amount of Effort is a unique collection of the most powerful learning techniques to help you out-smart, out-strategize and out-think your competition and reach your most audacious business goals faster and easier than you ever thought possible! Get the Best Business Results with the Least Amount of Effort is a priceless collection of proven tips, tools and techniques to turn you into a super-achiever. Gone are the days when you could put in a good effort and expect a good reward. Today you must do simple, out-of-the-ordinary things to get extra-ordinary results. You need better strategies that will make you and your business a force to be reckoned with. The biggest investment you can make today to have the best, long-term impact on your business is in your and your staff’s brainpower. It’s your ability to assimilate, learn and digest large chunks of information quickly that could make or break your business. Today you can have any information on any subject—usually tons of information. So the ONLY competitive advantage you possess over your competition is sitting right between your ears. By becoming a SUPER-LEARNER you could become unbeatable. Get The Best Business Results With the Least Amount of Effort will show you exactly step-by-step how you can achieve any goals you set for yourself with ease. Achieve MORE by actually doing LESS. Use TIME more PRODUCTIVELY—make each and every hour count. Attract WEALTH and PROSPERITY into your life like a magnet. Enjoy time off relaxing, rejuvenating and recharging your batteries. Improve your results immediately to build confidence and perseverance to follow through. Get on top of your To Do lists. Discover how to produce EXTRAORDINARY results in your business without having to work long hours. In fact, you need to start working fewer hours to improve your results. “Get The Best Business Results With the Least Amount of Effort” contains a step-by-step formula to help you squeeze the most out of each and every day and shape your destiny for success while enjoying every minute of it. It’s a proven system to save you from drowning in never-ending To Do lists, or getting swamped by feelings of overwhelm or overload. As you can see, Get the Best Business Results With the Least Amount of Effort is a comprehensive guide to finally put YOU in control of your business and life. Sure you can find a ton of material on peak performance and learning strategies on the Internet, but you will never find anything that comes even close to Get The Best Business Results With the Least Amount of Effort”. That’s because it’s not about intellectual stimulation but about helping you become the best you can be without turning into a workaholic. Easy, paint-by-the-numbers techniques to help you master any subject, content, skill or aptitude and produce the income and lifestyle you want and deserve! The 4 success secrets to get from the profits you’re currently making to the profits you want and deserve! A few simple tricks & shortcuts guaranteed to save you time and explode your bottom-line profits THIS WEEK! A simple 5-step system to help you get everything done effortlessly! A little-known secret to out-smart your competition by becoming a SUPER-LEARNER! How to get an EXTRA hour in your day—you can have 25-hour days instead of 24 like most people! Inject your subconscious with the Exponential Mindset™ and become practically invincible by setting the rules the rest have to follow. What it is that’s holding you back and how to use it to propel you toward your goals. How to achieve multiple goals simultaneously without breaking a sweat! 12 short cuts guaranteed to turn you into a smart entrepreneur THIS MONTH! How to stop wasting time and procrastination IMMEDIATELY! How to use visual CUES to improve memory and recall—Remembering your clients’ names and other details could be a profit-maker. The SUPER-ACHIEVER’S laugh-out-loud trick of making every minute count! How to develop analytical and diagnostic skills and become your own Marketing Expert. The CRITICAL distinction to stay COOL under pressure—while most people panic and scream! ATTRACT success into your life at will—it’s a mindset that most people never learn or discover. What PEAK PERFORMANCE athletes and SUPER-ACHIEVERS all have in common... Plus, the one ingredient they want to keep secret. How to stabilize your body chemistry and improve your CONCENTRATION and focus TODAY so you don’t get distracted by the everyday issues of running a business! And that’s just the tip of the iceberg because you’ll get every strategy, trick, technique and short cut guaranteed to turn you into a SUPER-LEARNER ... and a SUPER-ENTREPRENEUR! 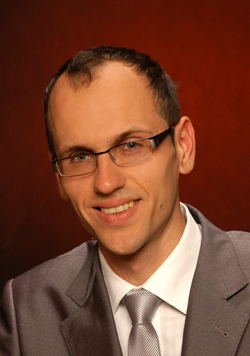 While I was doing my MBA AND Ph.D. on a full-time basis, as the founder of my own start-up company, I used Exponential Marketing Strategies, with no money down, to build my service company 3 times faster, with double the industry average sales per employee, with a fraction of the industry's employee attrition rate WHILE consistently producing twice the profitability of my competitors – and graduated with honors! When I moved to Australia, I completed a thesis for a Doctorate in Business Administration Degree in 3 months—a process that takes even the most committed academic nerd at least 12, if not 24, months to write. My thesis was accepted by two external examiners ‘as presented’—a rare accomplishment at this most elite level of academic performance. By the way, my 500-page thesis included more than 1,200 references, 46 summary tables, 19 figures and 8 whopping appendices. The file size was so big; Microsoft Word kept crashing forcing me to put the Appendices in a separate file! Recently, while I worked for a global software vendor, I leveraged the SAME strategies to produce prospecting results 30 times greater than the company's norms with the same closing (conversion) ratios as my contemporaries in other regions of the world, growing the business more than 50% per year while I completed a post graduate law degree with a specialization in taxation, superannuation and asset protection, completing it with ‘distinction’ in less than one year without a single work colleague being aware of my extra-curricular academic activities. The exact same formula that you are just about to master, I have also used to quickly become competitive at squash, winning a Masters, an Open Men’s, and was runner up for a third Open Men’s Squash tournament in the first 5 years of learning to play in my mid 30s! Simple. I am the LIVING EXAMPLE this stuff works under the most unusual, demanding and excruciating circumstances. I could never have achieved those outcomes without tried and tested, bulletproof strategies that produce exponential results—BOTH as a student (learner) and business person (entrepreneur). Like to know what others are saying about Get the Best Business Results With the Least Amount of Effort? "This book contains deceptively simple, yet powerful distinctions that enabled me to focus on the things that matters most to me at any given moment, helping me advance my career with a lot less stress. Essentially, it helps to reduce the mind clutter that is inevitable in this age of information deluge. My only wish is that I had known these strategies when I started my career!" "Out of all the books that I have in my personal library, I think there must be about ninety to a hundred I consider 'must haves.' For me, "How to get the best business results with the least amount of effort" is in the Top 10. I call this book my unfair advantage 'cheat sheet' simply because it helps me, as the title says – learn new skills in less time and with less effort. I believe that there is no point cramming your head with new information unless you have a SYSTEM that makes it work in your life and business. The book has helped me to understand how to take any raw piece of information and turn it into CASH without getting sucked into the paralysis analysis quicksand. I must have read it cover-to-cover more than 3 times by now and each time I have learned new distinctions - Highly Recommended!" "After I read this book, I finally decided to fire my boss and get another job. I increased my base salary by $10,000 and now have an incentive plan that will reward me for the sales I make. At the rate I'm going, 90 days into my new role, I'm on track to double what I made last year – Thanks Marc, I never woulda made the jump without your tips!" 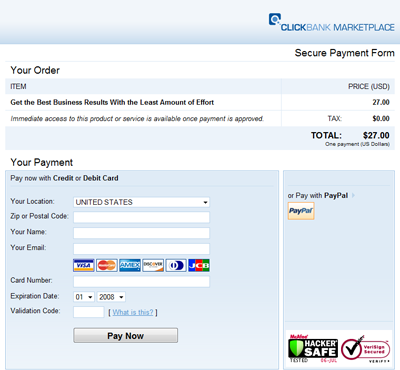 When you purchase Get the Best Business Results With the Least Amount of Effort you’ll receive my original guide, Get the Best Grades With the Least Amount of Effort with the valuable Addendum that puts the SYSTEM into a BUSINESS context so you can apply it in your business easily and quickly. As I mentioned earlier, you have to think differently from the rest and that means doing out-of-the-ordinary things to get extraordinary results. Become a SUPER-LEARNER to learn the business skills you need to STOP gambling with your business and adopt a proven short cut for success. You will not find this anywhere else. SO WHY AREN’T YOU AS SUCCESSFUL AS YOU WANT TO BE YET? Obviously, the key is NOT to read more books. What you need is a proven SYSTEM so you can intelligently channel everything you have learned and mastered so far. This book, which has been sold to thousands across Canada, is in its third edition, recently revised and updated for its global launch to the business community as an e-book. Yes! You can reproduce my kind of results in your life or business as if by magic. Make your business friends and colleagues envy you. I PERSONALLY keep using these tried and true techniques on a daily basis. If you’re frustrated with the results you’re getting in your life or business. And you want the fastest, proven, tried & tested way to take you there, get your hands on Get the Best Business Results With the Least Amount of Effort right now! It’s what you wish you had 20 years ago... Make up for lost time NOW. We often make our businesses (and lives) more complicated than they need to be. This disarmingly easy-to-read book with its simple-to-apply learning strategies will make you a much better executive or entrepreneur, by empowering you to learn infinitely more quickly than your competitors! So what’s a fair price to pay for this one-of-a-kind compendium of best learning and peak performance strategies and secrets? The ideas, techniques and strategies took over 20 years, reading over 300 books, attending seminars, workshops and meeting exceptional people who are producing exponential results. I developed and perfected a highly predictable system, an IDIOT-PROOF BLUEPRINT that anyone can follow and be successful. You can have it all in less than 2 minutes and it’s proven to work with a 100% money-back guarantee. You see, you don’t have to turn into an academic but you must become a SUPER-LEARNER quickly if you want to out-smart, out-strategize and out-think the new breed of competition. Considering the value and the results you’ll get THIS WEEK from applying the simple strategies clearly outlined in Get The Best Business Results With the Least Amount of Effort I could have easily put a $100 price tag—especially since it can make you tens of thousands of dollars and SAVE you 5-7 hours each week—guaranteed! However I realize, that you might be a hard-working and struggling business owner, or an entrepreneur battling to keep your head above water, already inundated with the everyday costs of running your business. So, I’ve decided to offer the complete Get The Best Business Results With the Least Amount of Effort guide for the low price of just $27. "This book proves my boss is a [_____]. I am now out-selling him and plan to leave to start my own business by next financial year end when I get my sales bonus. It's time to get the rewards for being so productive. I have to admit, when I first read the book I thought it was all self-evident, but as soon as I took it seriously, it was like a light turned on - nice and bright and kept shining to show me the way forward. Thank you, Marc from the bottom, no make that the top of my heart!" "There are lots of good and simple ideas in this book. There is one thing I applied straight away that made a massive difference for me. I now keep swipe files to collect information I may need in the future to build case studies, create new marketing campaigns or have something to give to clients that is relevant to them. I used get a little deflated when thinking, I really should have a document that has all the info in one place, a document I can give to my clients. But where do I start and how long will it take to get all the info together? Now I have a swipe file handy with the info. It's the idea of planning ahead with a longer decision making horizon as Marc calls it that really changed things for me. It takes away the overwhelm I used to feel. As a result of the tips I learnt in this book, I feel more empowered and things actually get done. As I said, so simple and yet so effective!" "If you are a busy executive or professional – read this book. It's a must. At the start of the year, I had what seemed to me a long list of New Year's Resolutions that included maintaining my normal law practice as a barrister and mediator, being a foundation member of a virtual web-based platform to provide national mediator and arbitrator services, writing a book I am under contract to write examining what success really means to top flight lawyers, studying Internet and business exponential marketing strategies with Dr. Marc Dussault as one of his elite Diamond Members, learning how to purchase virtual real estate (existing websites) and then improve them to increase revenue as well as their asset value, setting up a brand new business venture with a joint venture partner and last but not least of course being a loving husband to my wife and an attentive father to my kids while still finding enough time to exercise and take care of my health, fitness and wellbeing. I had to find a way to manage all of this… And I did! 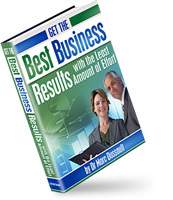 In April, I purchased Dr. Dussault's best-selling e-book "Get the Best Business Results with the Least Amount of Effort". It immediately helped me set the right priorities, allocating my time effectively across all my different projects to get them started and most importantly completed on time and on budget. This book is easy to read and is designed for the busy business executive or professional. When you adopt this 'mindset', as Marc calls it, you'll accomplish more with less stress, less disorganisation, more efficiency and more self-satisfaction." It’s simple. Get the book. USE it for 8 weeks. If you feel it cannot make your life SIMPLER, EASIER and less STRESSFUL, if you are not a better entrepreneur as a result—a SUPER-LEARNER, a SUPER-ACHIEVER; if it doesn’t make you feel unstoppable, simply send me an email and I’ll send you your money back—no questions asked, no hard feelings. You simply can’t lose. The only way you can lose is if you continue doing the same ‘ole, same ‘ole in your business and expect different results. That doesn’t work no matter how hard you try. I know the strategies in Get the Best Business Results With the Least Amount of Effort” WORK. Make the decision to START YOUR transformation to unleash the Genius within You—TODAY! When you buy “Get the Best Business Results With the Least Amount of Effort” you’ll automatically be subscribed to my Exponential Mindset™ bonuses. If you have any pre-purchase questions that aren't answered on this website, email me at info [~at~] speedstudyforbusiness . com and I will get back to you with an answer. Sales Lead Generation by Exponential Programs.